Proposition P, a half-cent sales tax increase to boost the salaries of St. Louis police officers and firefighters, is one of more than a dozen financial issues on the ballot Tuesday in the St. Louis area. Voters in the St. Louis region will go to the polls on Tuesday to decide on some key financial issues. Most of the attention will be on St. Louis, where residents are being asked to raise the sales tax by a half-percent in order to pay police and firefighters more. Voters in St. Louis and St. Charles counties will decide an array of tax-related issues. 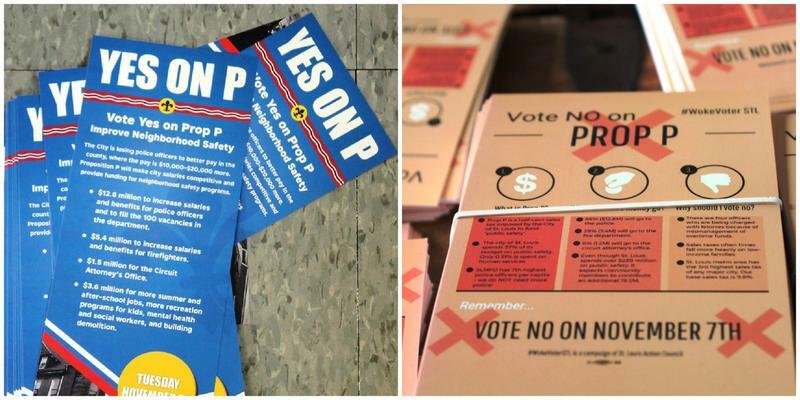 As mentioned above, voters in the city will decide the fate of the half-cent sales tax hike — known as Proposition P. It’s expected to raise roughly $20 million a year. Most of those funds will go to raises for police officers and firefighters, although the circuit attorney’s office is also set to get about $1.3 million. A sales tax increase means an automatic increase in the use tax, or the tax that businesses pay on purchases made out-of-state. That money — about $4 million a year — is slated to go toward recreation and job training programs, building demolition, and mental health and other social services. All of the spending is contingent on aldermen approving the funds as part of the budget process. Voters in the 2nd Ward, along St. Louis’ northeast side, will also pick a new alderman. Dionne Flowers, who held the post for 18 years, resigned in August to become the city’s register. Residents in a number of St. Louis municipalities will be asked whether they want to impose a local use tax, in addition to the use tax charged by the state. The Ritenour School District, which serves an area of the county west of St. Louis-Lambert International Airport, wants to boost property taxes to eliminate an ongoing budget deficit. Three fire protection districts are also asking for property tax increases. A small group of voters in Chesterfield will be asked whether they want to extend their participation in a transportation development district beyond 2021. The extra money from the 3/8th-percent sales tax would help fund a new sports complex. Voters in Dardenne Prairie will be asked if they want to pay a half-cent sales tax to funds parks and stormwater service. There are also eight annexation measures, which would expand the city by about 40 acres. What happens if Proposition P doesn't pass? 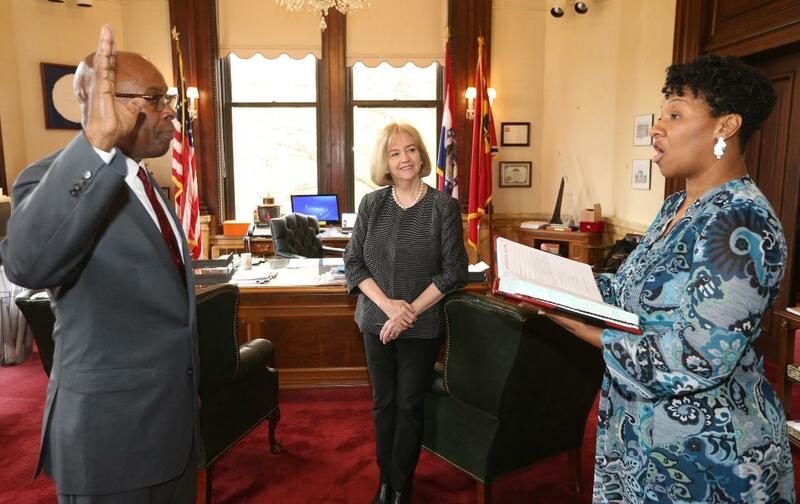 Former St. Louis circuit judge Jimmie Edwards is sworn in as the city's new public safety director on Monday. “I am an optimist, and I think the citizens understand that we all want to make sure that people pay a fair salary that is competitive,” Edwards said Monday at a media availability after he was sworn in. Proposition P requires a simple majority to pass. St. Louis aldermen seem ready to act if the sales tax fails. The Ways and Means committee, which handles the city’s budget, is scheduled to take testimony Wednesday on a measure that would force larger nonprofits to pay the half-cent payroll tax. The idea isn’t popular — organizations say it would leave them with less money to serve their clients. A second measure would temporarily increase the payroll tax on for-profit businesses and nonprofits with more than 250 employees. That bill has yet to receive a hearing. This is the fourth election under the state’s photo identification law. Individuals who do not have a government-issued ID such as a driver’s license or a passport, can present a utility bill or other document, and sign a statement that says they do not have an approved photo ID. Polls open at 6 a.m. and close at 7 p.m. Anyone in line at 7 p.m. can vote. 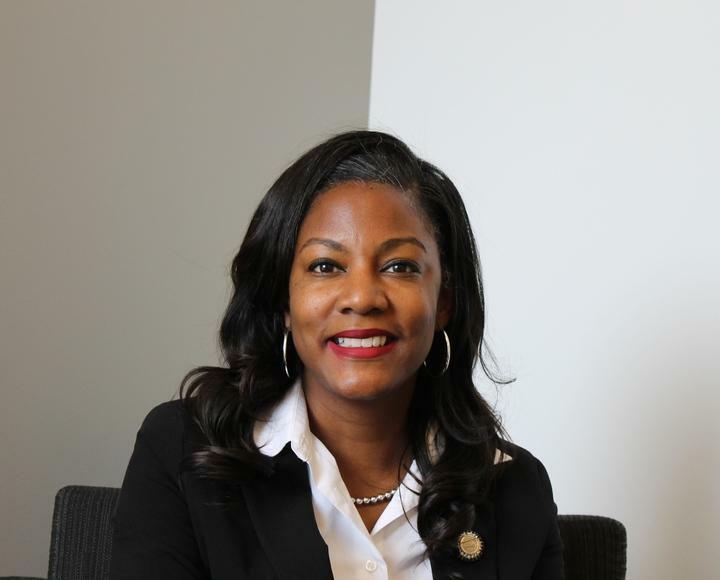 For the first time in 18 years, St. Louis’ 2nd Ward is getting a new alderman. The seat opened up in August when Dionne Flowers resigned to become the register, the city’s top record-keeper. The ward encompasses six north St. Louis neighborhoods, stretching from north of downtown to the border with St. Louis County. Three candidates are running to take her spot. St. Louis voters will decide on Nov. 7 whether to increase the city’s sales tax by a half cent to fund increased public safety efforts. 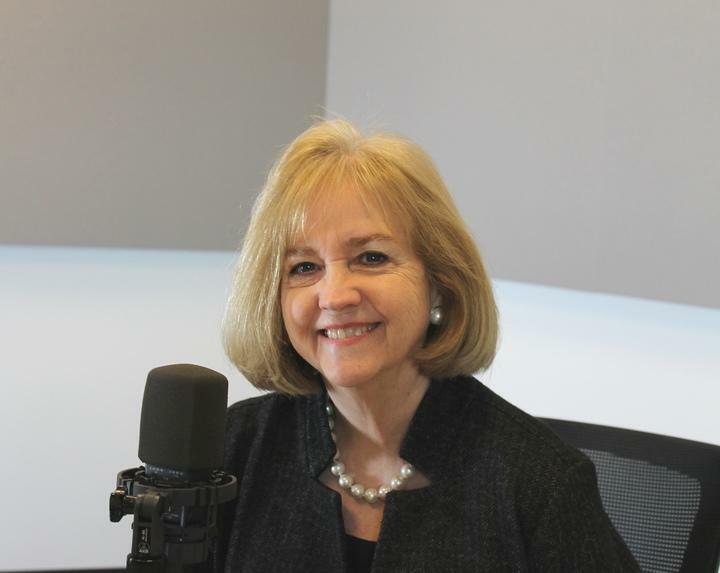 On Friday’s St. Louis on the Air, host Don Marsh talked to St. Louis Mayor Lyda Krewson, who endorses the ballot measure Proposition P.
Treasurer Tishaura Jones is calling on St. Louis residents to vote against Proposition P on Nov. 7 – a half-cent sales tax increase that will fund public safety efforts. 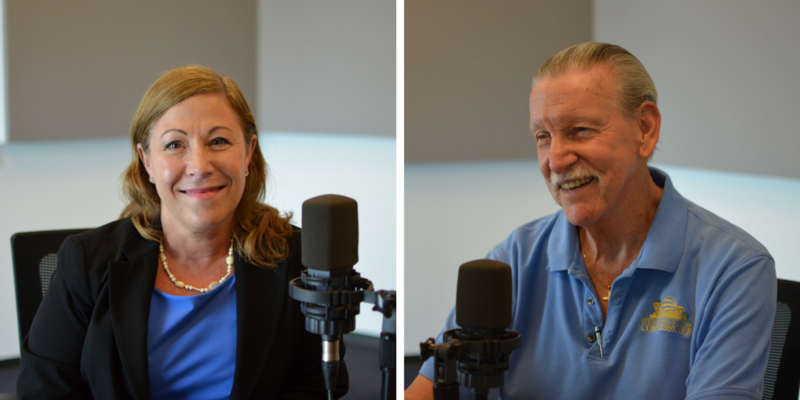 On Friday’s St. Louis on the Air, host Don Marsh talked to Jones, who said sales taxes are regressive and disproportionally affect the poor.